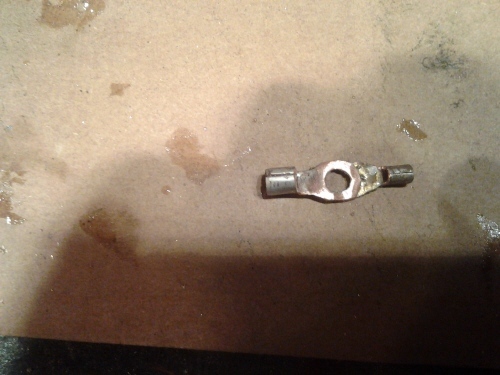 Ever since I added turn signals and brake lights, the short screws that attach to the terminal block weren't long enough to mount more then 2-3 connections and, eventually, would back out and begin stripping out the hole. 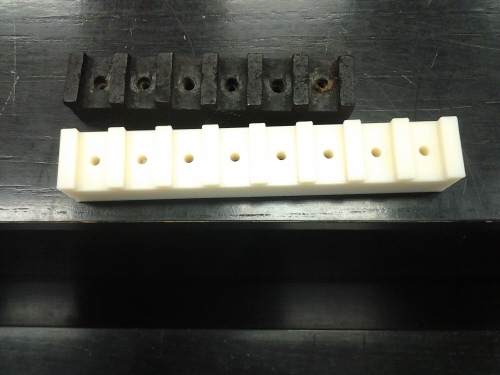 I asked the tech guy at my school if he could have one of his kids design a terminal block with two extra bays and print it on the 3D printer. He said that this was the perfect project as he is having them reverse engineer something. One of my band students is in his class and created the block this week. Here are some pics of the front and back. It is much better than anything that I could carve with my Dremel. I asked the teacher if I could post it on the forum and that there could possibly be requests for it. He said that he could make them for you guys in exchange for a nominal donation to his TSA club. If anyone is interested, please PM me. Thanks! 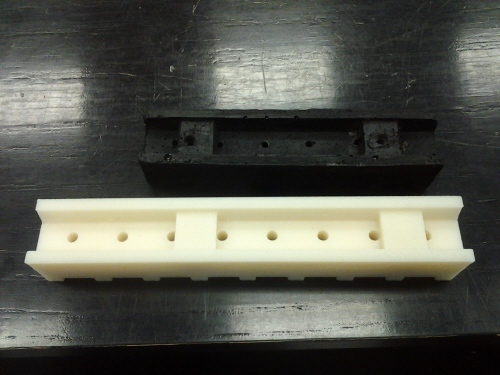 Is that being done on a 3-D printer or just UHMW plastic? Can they be done in black? Unfortunately, no. He only has one color available. They can be painted and adjusted for how many bays a person wants. I went to a good (?) hardware store with the screw and found some a little longer . I had thought about that too, George. I just wanted to keep things a bit more organized and not so cluttered. 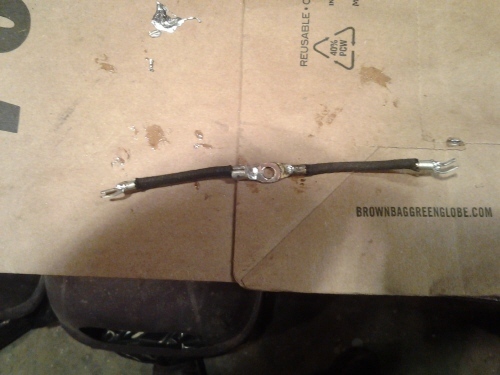 I installed the extended terminal block and created a double ended ring connector by soldering two together. 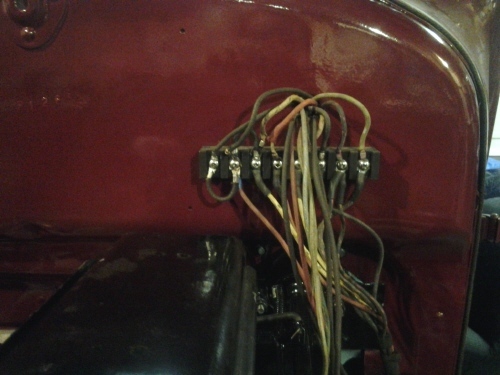 That one is placed on the 2nd screw to the left and allows me to easily hook up the turn signals and brake lights without overcrowding the original six screws.